Cheesy, Melty, Crunchy, Gooey and…Earth Concious? Anyone with a couple thousand bucks can have a solar or wind energy system installed on the roof to help with energy costs. Likewise, trips to the recycling center and acting to reduce waste seem like ingrained practices that are as much a part of our weekly routine as watching Flava of Love re-runs and doing Windsor pilates. After placing my order of two CGC’s and a large Iced Tea, I made my way to the hot sauce, napkin and utensil station to gather the appropriate accouterments for my meal. As I departed the station, I was approached by a woman names Inez who was only slightly larger than my gordita and sporting a Taco Bell logo’d shirt. Inez asked me, “You want spork?” Knowing that my CGC was manufactured for direct hand-to-mouth consumption, I kindly replied, “No thanks, napkins and hot sauce are all I need.” Looking someone dejected, Inez shook her head and sighed. While I didn’t realize it immediately, Inez’s singular question had started a butterfly effect as her statement echoed in my mind. 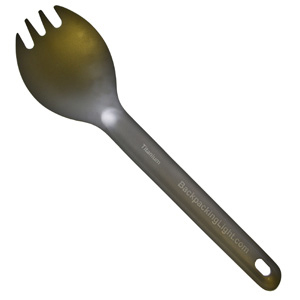 If all restaurants switched to sporks instead of fork and spoon combos, they would save money on dishwashing and ordering extra utensils. Likewise, if everyone carried around their own non-disposable spork and treated it much the same as a toothbrush, we could greatly reduce the amount of plastic cutlery that is filling up our landfills. This headline caught my eye this morning and I thought it was my obligation to pass it along to those of you who might care. “Robot Climbs Grand Canyon on AA Batteries”. So who do you think was behind the climbing power? The Energizer Bunny? Wrong. 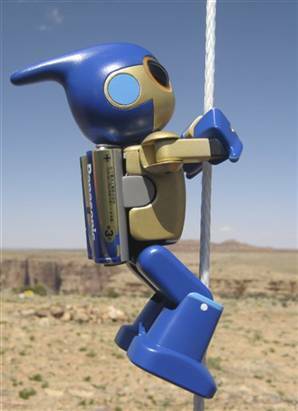 The Robot Evolta — by Panasonic — kept climbing and climbing up a rope dangling from a Grand Canyon cliff for nearly seven hours on a pair or AA batteries that Japan’s Panasonic is billing as the world’s longest lasting. To prove the durability of the new alkaline batteries, Panisonic’s 5oz, 6.7inch blue imp clasped a rope with its arms and feet and just kept climing until the batteries stopped working — which happened to be some 1,740 feet or six hour s and 46 minutes later. Robot Evolta can now be found in the Guineess Book of World Records. Want to know where you can get these extreemly long lasting batteries? For those of us in the States, we will have to wait a little bit longer. The Evolta batteries were launched in Japan in April and are expected to launch overseas later this year. To read more about the Little Blue Robot that could…click here for the full article. I’m all for saving the earth. It’s where I live and all. You too, probably. However, when it comes to “going green,” I tend to think and act in terms of dolla dolla bill y’all as much, if not more so, than in terms of hugging the nearest tree. I suspect I’m not alone. In fact, I suspect I am in the great majority. Times are indeed tough, as noted in our previous post regarding gas prices. When I moved to Rhode Island from Philly last summer, I suddenly needed a car. My first thought was “Prius.” But I did the math and the cost savings versus a traditional car just weren’t there. And that was the primary driver behind investigating a hybrid: cost savings. Fact is, going green for me almost always means saving green. And as the cost of seemingly everything continues to skyrocket, my everyday behavior has changed dramatically. I’m shutting off lights. I’m turning off power strips. I’m coasting to red lights on the rare occasions I use a car. In my head, I’m hearing those pennies plink, plink, plinking down into my bank account, and it feels good. As economic conditions continue to get cloudier, I remember my grandfather and the “waste not, want not” ways that not only got our family and millions of others through the Great Depression, but also taught our family and millions of others during times of relative plenty not to forget where they came from and what they went through. I call this ethic “informed consumption.” It’s how my partner and I are living, and it’s how many other people are living right now. It’s what “going green” really means for many, many Americans. It’s not a cause; it’s a newfound commitment to a more reasonable and sustainable way of life. It’s checking ourselves before wrecking ourselves. So when you’re marketing “green” concepts like energy efficiency to consumers, don’t be afraid to play up the less glamorous, less feel-good angle of cost savings at the expense of the more cuddly angles, like kids running through fields or the increased chances of survival for polar bears. The thing is, America is more about “rugged individualism” than ever now. Self-interest almost always trumps communal interest–especially these days, when it’s becoming more “every man/woman for him/her self” seemingly by the minute. What’s amazing is that energy efficiency/environmental consciousness and self-interest aren’t mutually exclusive any more; in fact, they are joined at the hip. And because of that, we have a better chance of promoting both, and succeeding in those endeavors. So marketers, be sure to see “green” for what it is: not as a political issue, but as an economic issue. And once you do, you’ll likely sell quite a few energy-efficient, environmentally friendly products along the way. Americans and polar bears will thank you. So after perusing the internet, I’ve found some handy little tips for those people who find the commute to work taking a toll on their budget. And because I’m such a nice person, I’m going to pass them on to you. Be a careful (read: good) driver – Don’t slam on the brakes or gun the gas pedal and try to avoid speeding. I know, I know. You’re late – aren’t we all? But every 5 mph you go above 60 mph is the equivalent to paying an additional $0.10 per gallon. True story. So those of us who are perpetually late for our lives and speeding to make up for lost time – it may be costing us. Keep your engine tuned – Keeping your car in good shape is a good general rule of thumb anyway, it will reduce your matainence cost overall if you change your oil regularly and make sure your engine is running properly. But it can also improve your gas mileage by an average of 4% – so go and schedule that appointment at your local Speed-ee Quick Lube Car Repair. Drive less – What’s that? I should get the Nobel Peace Prize for brilliant, innovative ways to save on gas? You’re too kind. But truthfully, we all rely on our cars to take us everywhere and it’s rare that we consider our other options for transportation, no matter how high gas prices become. When I lived in Washington, DC it was not only more cost efficient but also entirely less stressful to take the metro into the city rather than wasting precious gas sitting in traffic on the Capital Beltway. Perhaps you don’t have a great public transportation system in your area (cough, Rhode Island) – but there’s always carpooling to work with people making the same trip and splitting gas costs. Perhaps this list won’t make a huge difference on your overall fuel bill the next time you stop at the pumps – but desperate times call for desperate measures people. And you know, there’s always those things hanging below your waist called legs. I hear those things are pretty handy for transportation. Tokyo – A parrot named Yosuke flew out of his cage and got lost. So the smart little guy did the only thing he knew — he repeated his name and address over and over and over to anyone who would listen. Well, not anyone. The African grey parrot refused to speak to police after being rescued from a rooftop, but opened up freely to a local veterinarian. Yosuke provided the vet with his full home address, including street number, and even entertained the vet staff with songs. La Crosse, WI – Thieves stole a 2,000 pound, six-foot anchor mounted outside the Naval Reservist Station. No one noticed the gray-blue anchor was missing. The anchor was reported missing Saturday. A representative for the Naval Reservist Oversight Committee said the anchor must have been stolen sometime between December 31 and Thursday. Boulder City, NV – A Nevada company has created a personal cleaning product to eliminate the use of toilet paper. The product is designed to clean backsides more efficiently than toilet paper or standalone bidets. We are a staff of 8 – 1 President, 1 Office Manager, 3 Senior Account Execs, 3 Junior Account Coordinators. But I would be remiss if I didn’t mention the other creatures that share our office space, contribute to the noise level, and make us laugh with their antics. I’m talking, of course, about our office dogs. Three to be exact, who are all here on a fairly regular basis and make this office a very interesting place to work. This is Layla. The newest addition to our staff, she was recently adopted by Lauren and her fiance and accompanies her to the office every so often. Layla is a shy and timid girl, only allowing herself to be a few feet from her mom at all times. According to Lauren, she is a mutt in every sense and her one floppy ear is so very cute. Layla plays well with the other dogs but does tend to growl if the smallest of the bunch stares at her toy for too long. It’s not really an intimidating growl, just a warning to the curious pup – This is MINE. Just so we’re clear. 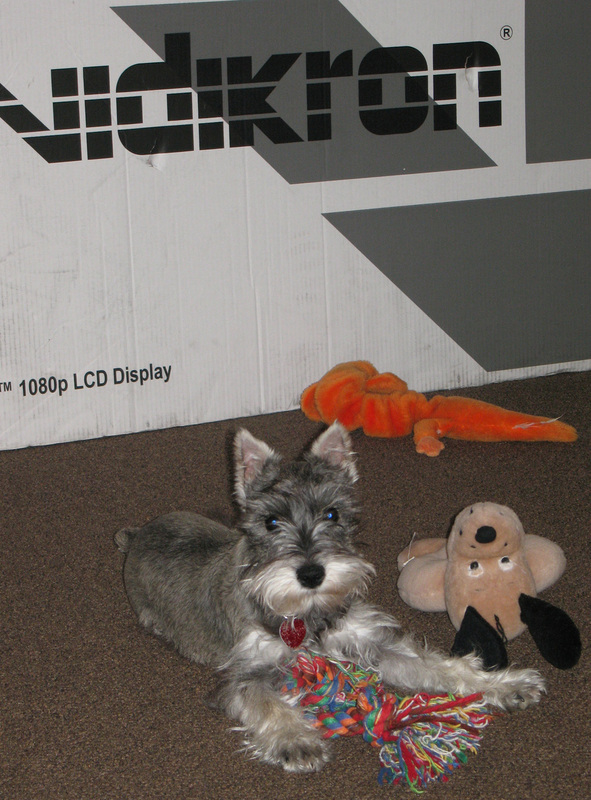 Last but not least, meet our original Caster mascot, Miss Mattie. 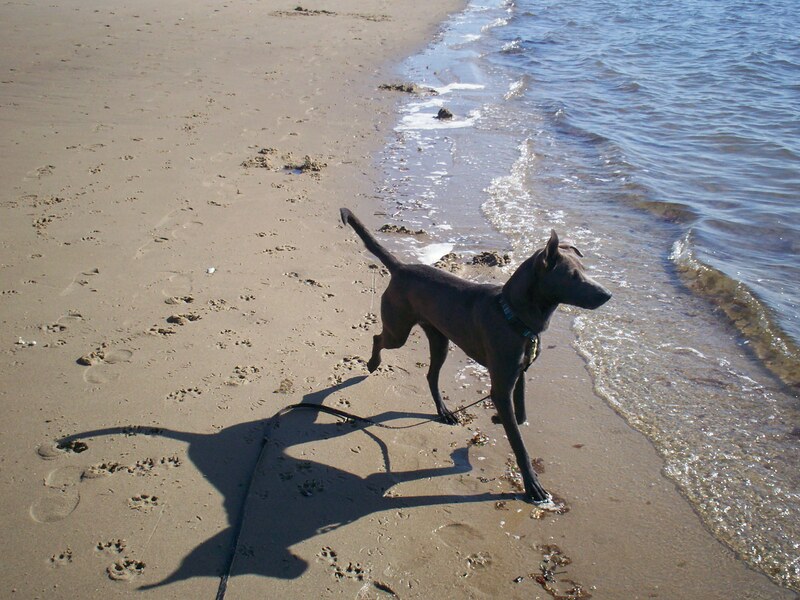 Mattie belongs to Kim, founder and owner of Caster, forever making her top dog. Mattie, short for Matilda, is one of the sweetest pups you will ever meet and has been a good sport in the recent introduction of two other dogs in her territory. She does tend to escape to the courtyard whenever Smokey refuses to detach herself from Mattie’s neck (Smokey is still too little to push the doggie door open) but tolerates her new little pal. Mattie is generally quiet and good natured but without fail will bark at the UPS/Fed Ex/mailman every time he walks through the door. The only time Mattie becomes sad and forlorn is when Kim travels, and the very weight of Kim’s absence is almost too much for Mattie to bear. She mopes about, visiting each cubicle in hopes that perhaps Kim is hiding in there. Recently I was travelling in California for business when I was called out for having, “…a rather New York sounding accent.” Having spent my entire 27 years of life in New England, I’m sure I have picked up more than a few regional idioms to accompany my love of coffee milk, johnnycakes, lighthouses and quahogs. After I corrected the accuser (who was from Oregon) as to my state of origin, an interesting conversation about New Englanders and why they are less hospitable than people from other parts of the country ensued. 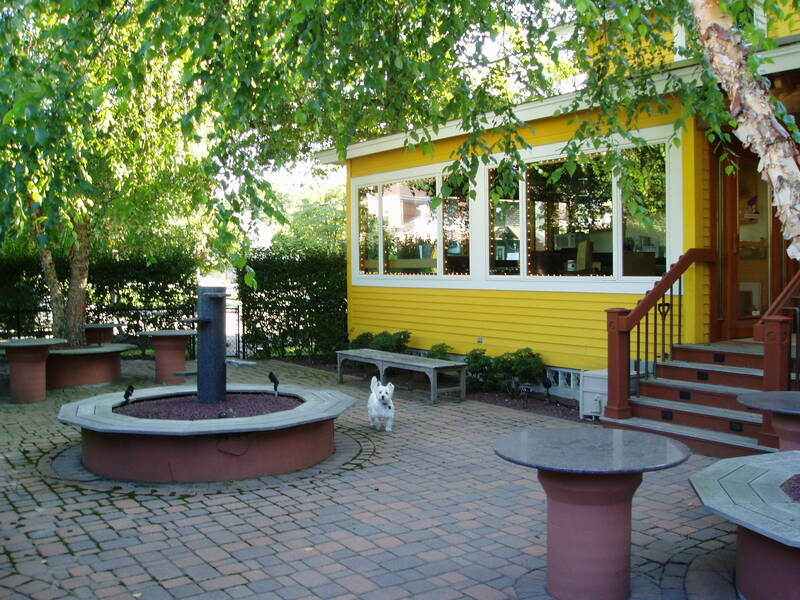 It has been pretty well documented that New Englanders tend to be surlier and a little less neighborly than their fellow Americans, even resulting in the moniker “the cranky yankee.” While this is a broad generalization of a diverse and cultured group, I can’t resist sharing my thoughts on why New Englanders don’t care about you or your stupid hospitality. Historically speaking, New England has strong Puritanical roots, which means eternal damnation for everything from wearing your knickers too low to cursing when your neighbors Clydesdale leaves a steaming pile on your front lawn. While living a sin-free life is like soooo 1500’s, the underlying ideology still exists contributing to a general doom and gloom mentality. The third and most noticeable attribute of New Englanders is their lack of interest in exchanging pleasantries or making any sort of small talk. Sure, you can visit a B&B or local antique shop to enjoy some local folklore and chat about the weather, but I’m talking about gas stations, convenience stores and other bastions of everyday necessity that dot our great region. New Englanders simply don’t care if you’ve never seen snow, can’t tell a littleneck from a quahog or don’t know how to get to the Cape. You are currently browsing the Caster Blog blog archives for May, 2008.